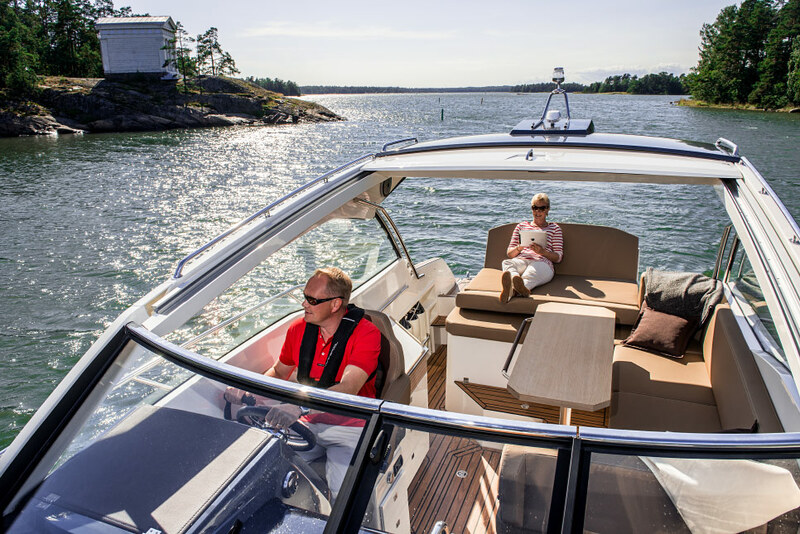 Brace yourselves for fabulous opportunities to rest and relax. 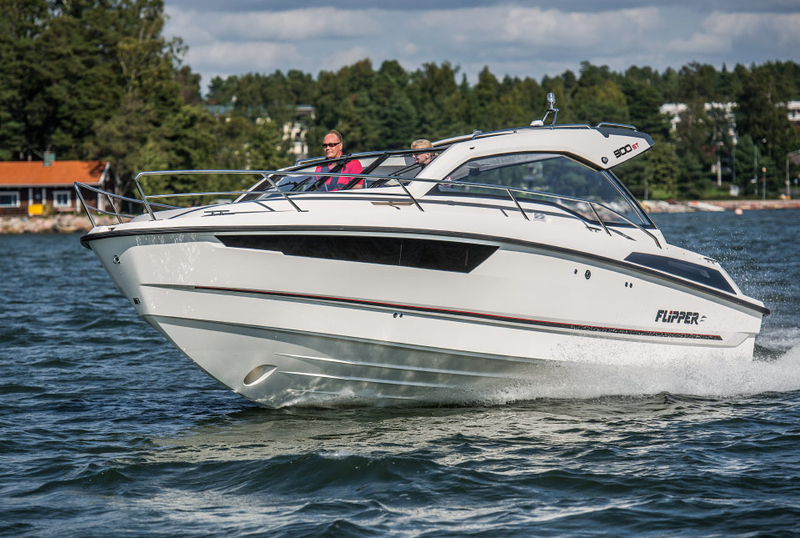 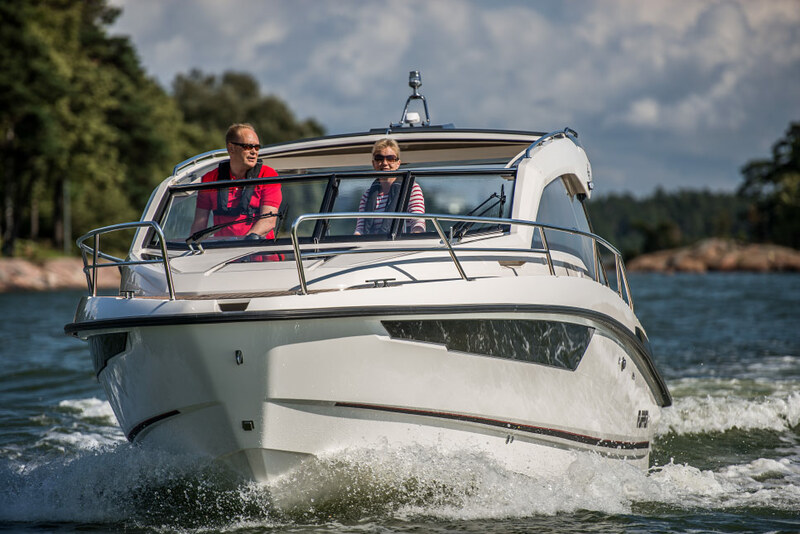 Flipper 900 ST takes even larger groups smoothly to cruises that won’t leave anyone cold – not even in typical Finnish summer weather. 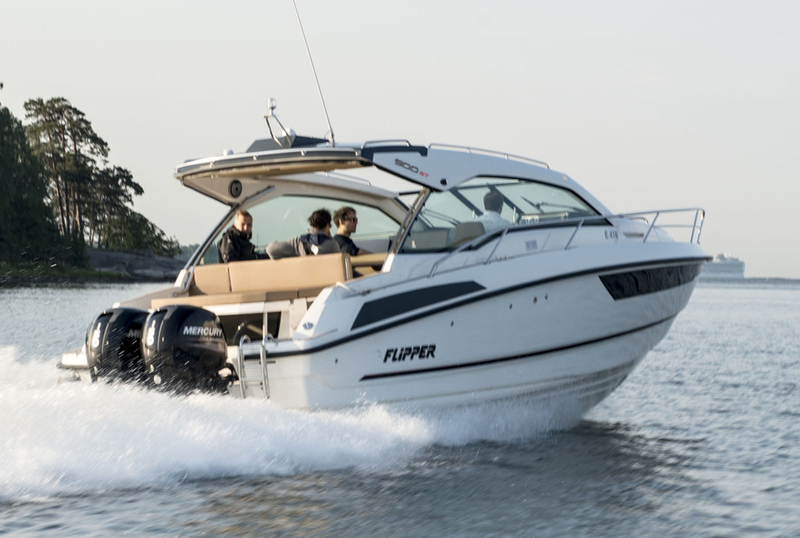 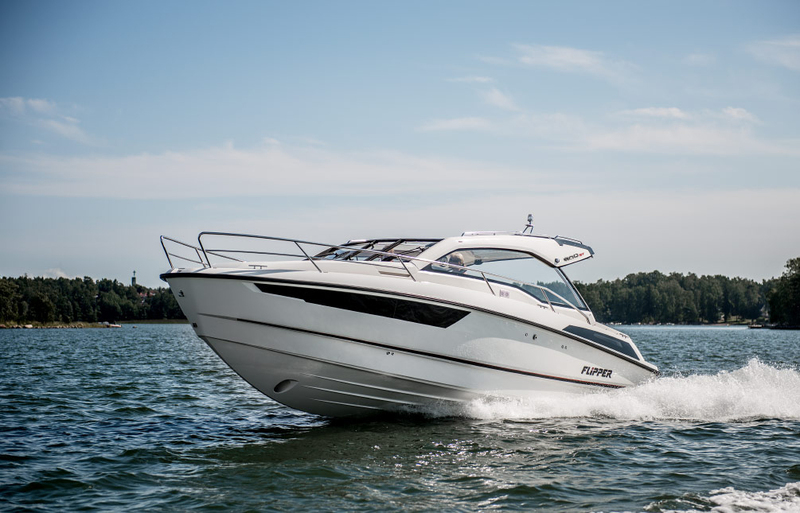 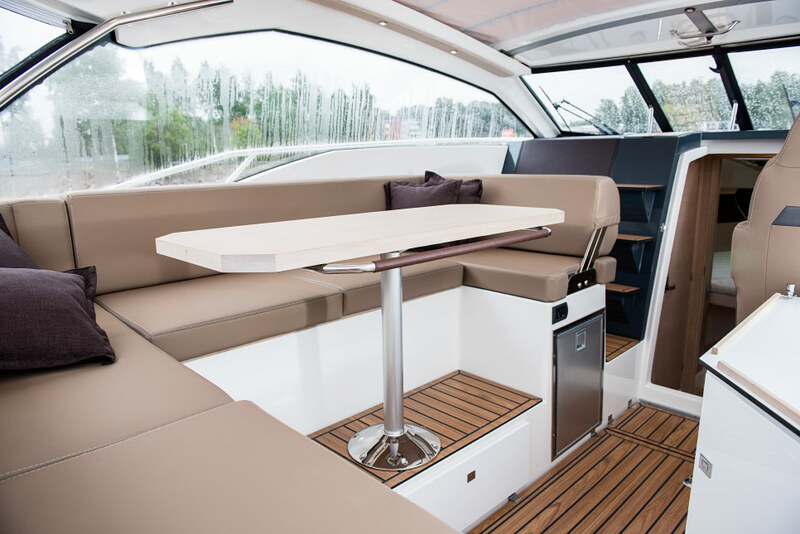 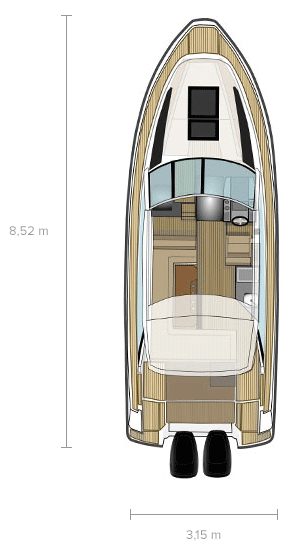 The boat is agile to manoeuvre, and its sporty nature comes alive already at the acceleration. 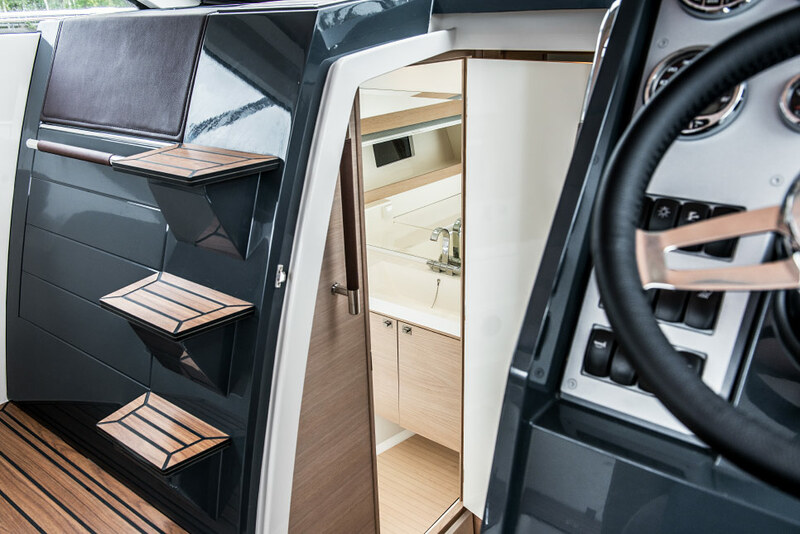 Luxurious deck area, large windows and the roof that can be folded all the way down create a genuine feel of space.